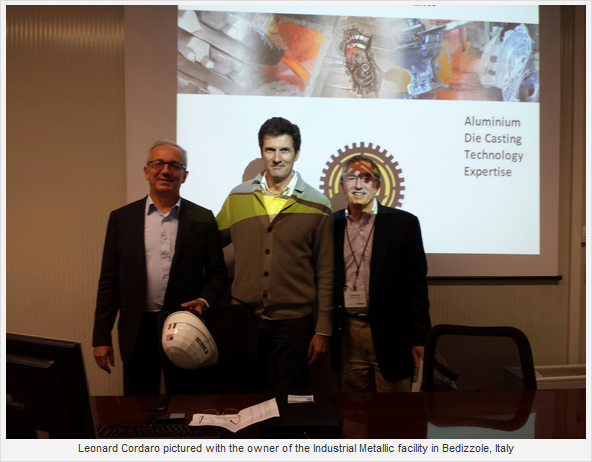 Industria Metalli is a privately owned die caster that has aluminium die cast machines up to 3300 tons capacity. The plant is well organized and fully automated with robots, quenching, and trimming. The majority of the business is for the automotive sector. The business has high quality control with two xray machines and a ERP integrated system for scheduling production. 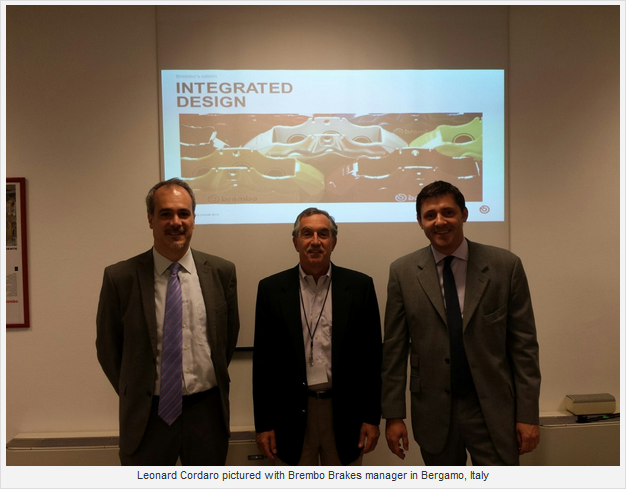 The next plant on the tour was the Brembo Casting Facility located in Bergamo, Italy. This plant is the world class leader in producing aluminium brake callipers mostly with the permanent mold process but low pressure die casting is used on some applications in addition. The NADCA group was offered a very detailed tour of the plant which included smelting of the alloy to the molding of sand cores for use in the permanent molds. The plant was well organized and very productive. The group concluded the tour and went back to the town of Sirmione for a night of excellent Italian food. Tomorrow the tour is going to more plants in the Brescia area.